Residents in Belvidere, Illinois, enjoy the area’s natural beauty, large number of businesses, and expansive farmland. They also enjoy a close proximity to one of Illinois’ top teams of HVAC technicians, plumbers, and electricians. If you’re in need of any of the following services near Belvidere, look no further than Axberg. Our team is highly trained and qualified to handle any problem you may have with your plumbing, electricity, or HVAC systems. For more information on the services we offer, or to schedule HVAC, electrical, or plumbing services in Belvidere, contact us online! Axberg is here to keep your family comfortable in every season. We’ve been serving customers in the greater Rockford, IL area for five decades, and our services are better than ever. We employ NATE-certified technicians and now have extended service hours, which means that HVAC repairs can be completed faster. We can work with all types of air conditioning and heating systems. Our technicians install electric and gas furnaces, central air conditioners, indoor air quality products, and water heaters. We’re also available to service light commercial HVAC systems and rooftop units. 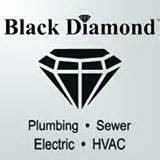 As a division of Black Diamond Plumbing & Mechanical, we have continued our popular Monday through Saturday hours and added 24-hour emergency service. We can handle all of your HVAC needs. Look for “emergency furnace repair near me” or AC repair? Need a new furnace and AC? Call us today to request an appointment in Belvidere! To keep your kitchen, bathroom, and other household plumbing fixtures flowing smoothly and in the best shape possible, we recommend calling in the experts. You can count on our plumbers to resolve your issue quickly and conveniently. Whatever plumbing problem you may run into, our team at Axberg can handle it. Since 1957, Axberg has been bringing expert services to residents and business owners in Illinois. With years of experience and professional training, our technicians are ready for any heating, cooling, electric, or plumbing problem you throw their way. To schedule HVAC, plumbing, or electrical services in Belvidere, give us a call now at (815) 873-6003 or contact us online! Always pleased with their service as we have used them on several occasions from some plumbing repair to replacing furnace and water heater. Always prompt,courteous and professional. Black Diamond has implemented a recipe for success and excellence in all areas they service. Their business formula is the best in the industry and I suspect they will only get better and better. When something works, keep it going and only twerk little things here and there through the years. Listen to your customers within reason and staff the company they way only Black Diamond knows how. The quality of all your technicians is second to none. Their knowledge, professionalism, understanding and caring for their customers and the services the perform our outstanding, to say the least. I have never had 4 or 5 people from same company come out to my home and I couldn't tell u which one I liked the most. Absolutely phenomenal experiences with Black Diamond and more to cone in the future!! Nice to see a company, a big company, that cares soo much about the customer. Keep up the great work!! Keep surrounding yourself with these great technicians and there will be a lifetime of awards for you. Your technicians sell Black Diamond on each and every job, they provide the foundation for a great past, present and future!!!!!! Ros was thourough and knew what he was doing. The HVAC service specialist was honest and responsive with his recommendation on how to service our unit. He recommended a new furnace as the cost and investment opportunity were within 1K. We went with a new install and they were in and out within a couple of hours. Tenants happy with customer service and cleanliness. Had an issue with a part on our furnace. They came out and fixed it free of charge due to it still being under warranty. Very helpful explaining the issue. I was very impressed by technician Ross Tripoli. What appeared to be a simple problem turned out to be unusually complex. Despite the late hour (after 3 on a Saturday afternoon), he finally diagnosed the problem, corrected it and tried to keep the cost to a minimum. Ross came very soon after our call and he found the problem and discussed it with me. We both thought replacing the bad part and the other one that looked like it could go bad shortly was a good idea. In no time at all we had heat. He was fast and neat. Would recommend him highly. Thank you so very much for our heat being back so soon.